Running a liquor store means you must manage an extensive inventory of products of different brands across dozens of different types of alcohols, from wine and whiskey to gin and rum. To further add to the complexity, you must offer a swift and seamless experience to your customers to ensure their complete satisfaction and make them come back. At Postech Direct , we understand that with so much to do, managing the inventory, updating the books, and keeping track of your finances can become an overwhelming process for anyone. Therefore, we have developed a full-service solution keeping the precise needs and challenging faced by a liquor store manager under consideration. Our liquor store POS software equips you with all the tools you need to manage your day to day operations, ensure customer satisfaction, and run your business in a profitable manner. 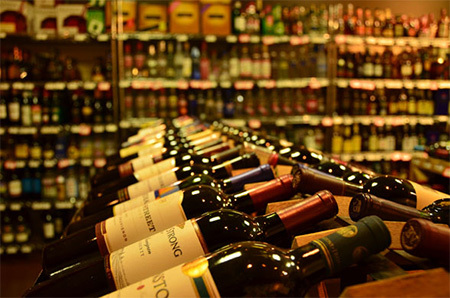 Our Liquor Store POS Software has been designed to ensure easy accessibility to all the features. With its responsive touch screen and friendly user interface, the software not only allows easy operations, but also speeds up the checkout process, which in turn contributes to your customers’ satisfaction. Using our feature-rich POS software, you can set up different user accounts and define their access rights. For example, you can minimise the risk of fraud and theft by preventing the teller from offering excessive discounts to the customers. Most customers visit a liquor store on their way home from work or just before attending a special event, and therefore, they expect a quick and seamless buying journey. Our Liquor Store POS Software helps you fulfil your customers’ expectations by offering you several advanced features that add to the speed and accuracy of the process.